You must be a member of the Lausanne Apéro Group to attend this activity. Would you like to join this group? Best wishes to all members and friends for a wonderful holiday season and a great start to Protected content ! 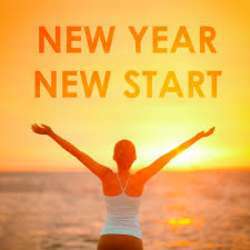 We propose to begin the New Year with some specific and achievable resolutions which can potentially change our mental and intellectual well-being. This is an introductory workshop to discover ways to reset your mind at work. Ever wondered what you could do while at work to refocus, gain back mental energy and stay productive under pressure? Perhaps you have a lot of things to do, or may be there is a lot of tension at work that you need to handle. Whatever the case, you will learn in this workshop different techniques that will teach you how to reset your mind in just a few minutes at your workplace. At the break time, we'll have a glass of wine & appetizers offered. Feel free to bring your friends, just make sure they sign up to InterNations first and use a free trial to join the guest list. Enjoy the festive season and see you in the New Year!